For other schools of the same name, see Christian Brothers Academy (disambiguation). Christian Brothers Academy (also known as CBA or "The Academy"), located in the Lincroft section of Middletown Township, New Jersey, United States, is a private, all-boys college preparatory school with a focus on Christian education run by the Institute of the Brothers of the Christian Schools, founded by St. Jean-Baptiste de La Salle. The school was originally a farm owned by the prominent Whitney family of New York City, and home to their renowned Greentree Stable. The land was eventually given to the Christian Brothers for the purpose of teaching. The school opened for the first time in September 1959 and was blessed by the Bishop of Trenton on October 11, 1959. Christian Brothers Academy operates independently from the Roman Catholic Diocese of Trenton and is governed by a board of trustees. As of the 2015-16 school year, the school had an enrollment of 1,015 students and 77.9 classroom teachers (on an FTE basis), for a student–teacher ratio of 13.0:1. The school's student body was 92.3% White, 3.7% Hispanic, 2.9% Asian, 0.5% Black, 0.2% Native Hawaiian / Pacific Islander and 0.4% two or more races. The school has been accredited by the Middle States Association of Colleges and Schools Commission on Secondary Schools since 1967. During the 1983-84 academic year, Christian Brothers Academy was recognized with the Blue Ribbon School Award of Excellence by the United States Department of Education, the highest award an American school can receive. The school was honored a second time when it was one of eight private schools recognized in 2017 by the Blue Ribbon Schools Program as an Exemplary High Performing School by the U.S. Department of Education. Christian Brothers Academy graduates attend a range of colleges and universities. Christian Brothers Academy was founded in 1958, when a group of devoted laymen, including Doctor George A. Sheehan, realized the need for another Catholic high school in Monmouth County. With the approval of the bishop, they initiated a drive to raise funds for the purchase of a piece of property. The Brothers of the Christian Schools, under the leadership of their provincial, Brother Anthony John Halpin, agreed to staff the school and finance its construction. The former Whitney Greentree Stables, a 157-acre (0.64 km2) farm, was purchased and one building was converted into what is now Henderson Hall. With six Brothers and 150 students, the school was opened in September, 1959; two years later the new school building was finished and ready for occupancy. 4) Brother Andrew O'Gara, FSC (1979–1991), left the office of principal to become CBA's first president. 5) Brother Ralph Montedoro, FSC (1991–2005), previously Assoc. Principal & currently the Vice President of CBA. 8) Mr. Peter Santanello (2012–2015), previously Associate Principal & first layman to assume the office of principal. 9) Mr. R. Ross Fales (2015–present), previously Associate Principal. Over the years, the school has undergone many additions and renovations, including the building of the Henderson Theater, three science labs, two large gyms, and extra classrooms. The school's Christian emphasis is noted by a sign in the lobby which reads: "Jesus is the reason for this school, the unseen but ever present teacher in its classes, the model of the faculty and the inspiration of its students." Before school begins and at the start of every class, prayers are offered in the Lasallian manner, beginning "Let us remember we are in the Holy Presence of God" and ending with the invocations, "St. John Baptist de La Salle, pray for us." "Live Jesus in our Hearts. Forever!" Advanced Placement courses offered include AP Art History, AP Biology, AP Calculus AB, AP Calculus BC, AP Chemistry, AP Macroeconomics, AP Microeconomics, AP English Language and Composition, AP English Literature and Composition, AP Environmental Science, AP European History, AP French Language, AP Human Geography, AP Latin: Vergil, AP Music Theory, AP Physics B, AP Physics C, AP Psychology, AP Spanish Language, AP Statistics, AP United States History, and AP World History. In addition to the 22 AP course offered at Christian Brothers Academy, the institution offers nearly 90 other courses that spread throughout the disciplines. In order to receive a diploma, a student must successfully complete four years of each of the following: English, Health, and Theology. He must also complete three years of the following courses: History, Foreign Languages, Mathematics, Science, and Physical Education. Furthermore, students are required to complete two years of Computer Science. Students who excel in CBA and who meet particular standards of academics, service, leadership, and character may apply for entry to the National Honor Society. Performing Arts: Chorus, Jazz Band, Pegasus Productions (Theater). Politics/Law: Student Council, Junior Statesmen of America, Mock Trial, Model U.N., Leadership Series, Social Justice Committee. The CBA chess team won the shore title in 2003, 2006 and again in 2007. In 2007, the team won the New Jersey state championship as it also did in 1980 and 1985. The team also placed 14th in 2007 at the U1500 at the National High School Chess Tournament in Kansas City, Missouri. The school offers the Lasallian Youth program, a way for students to perform service to surrounding areas within the context of the spirituality of the school's patron, St. La Salle. The Christian Brothers Academy Colts have been a member of the Shore Conference since 1982, an athletic conference made up of private and public high schools centered at the Northern and Central Jersey Shore. 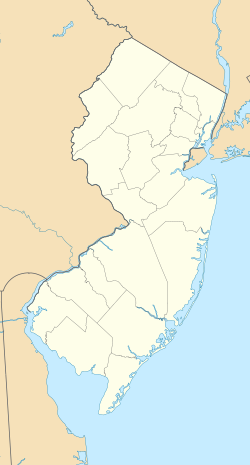 All schools in this conference are located within Monmouth County and Ocean County, operating under the jurisdiction of the New Jersey State Interscholastic Athletic Association (NJSIAA). The Colts mostly compete in the "A" North Division. Since entering, the Colts have won over 240 Shore Conference championships. CBA has been a member of the New Jersey State Interscholastic Athletic Association (NJSIAA) since the early 1960s. The Colts compete in the Non-Public "A" group for state tournament competitions. Since winning our first State Title in 1965 (basketball), CBA has won over 145 state championships. At CBA, all sports are governed by the NJSIAA, with the exception of crew, rugby and sailing, which have independent governing bodies. Christian Brothers Academy offers cross country, soccer, rugby, sailing, and crew as sports in the fall season. Head Coached by Scott Belford. Founded in 2004, the CBA crew team is a dual-season sport. The team won its first New Jersey State Scholastic Rowing Championships in the Novice 4+ event in its inaugural year. In the 2006 season, the team gained national recognition when its newly formed Lightweight 4+ placed 2nd at the Scholastic Rowing Nationals in Saratoga, New York. The Junior 4+ won the New Jersey State Scholastic Championships in 2008. The varsity double took 2nd place at the 2008 Stotesbury Cup, the largest high school regatta in the nation. In 2009, CBA won the senior 1x event at the New Jersey Scholastic Rowing Championships. In the 2011 Spring Season, the Lightweight 4+ placed second at the Stotesbury Cup and placed first in Nationals in Camden, New Jersey. The cross country team holds the national high school record for consecutive dual meet wins, having surpassed the 265 streak accomplished by Blackstone-Millville Regional High School in Massachusetts from 1974 to 1992. After losing a dual meet to Raritan High School, 15-50, to end the 1973 season, the streak dates back to September 19, 1974, with a 15-49 win over Marist High School to start the season. Blackstone-Millville's record of 265 wins was tied on September 28, 2004, with a win against Marlboro High School and the record broken two days later against Middletown High School North. The team has been ranked 1st in New Jersey and 1st in the United States on multiple occasions. Legendary head coach Tom Heath '65, who is responsible for building the cross country team to its current dominant state, retired from coaching at the end of the 2015 season. He won 21 NJSIAA Meet of Champions crowns, 27 NJSIAA state championships and went 42 years without losing a dual-meet. Rugby formed as a club team in 2011 at CBA, being elevated to varsity status in 2013. The team is coached by Patrick Moroney, the head coach of the Monmouth Rugby Club. In their inaugural varsity spring season, the rugby 15's won the New Jersey High School state championship, finishing up an undefeated season. In the fall of 2015, the rugby 7's won their first state championship. Another dual season sport at CBA, the sailing team has existed in some form since 2000. The 2005 team qualified for the Interscholastic Sailing Association's Mallory National Championship for the first time ever. After a year of inactivity, the current iteration of CBA Sailing began in 2007. Since then, the 16-member varsity squad has been an active member of the New Jersey Interscholastic Sailing Association (NJISA), a division of the Mid-Atlantic Scholastic Sailing Association (MASSA). In 2014, the sailing team won their first-ever NJISA League Championship, and in 2015, CBA was crowned New Jersey State Champions for the first time. The Colts made it back-to-back titles, winning the 2016 New Jersey state championship as well. The team's longtime coach is Jody Lutz, a Barnegat Bay Sailing Hall of Fame inductee and multiple-time North American sailing champion. From 1978-2015, they were coached by Dan Keane, who won over 530 games with the Colts and built the program to state dominance. Christian Brothers Academy offers Basketball, Bowling, Fencing, Ice Hockey, Indoor Track, Swimming, and Wrestling as sports in the winter season. The team has reached the Final Four of the Shore Conference Tournament in all but five years since their inclusion, The Colts had a 10-year home game win streak vs division openets during the mid 1990s to Mid 2000's when the strea was snapped after falling to the Colts Neck Cougars in December 2006 The team earned a national ranking of #11 in USA Today's final 1999−2000 rankings. The team has sent numerous players to Division I programs. Forward Dan Werner won New Jersey Player of the Year on NJ.com for 2006. Coach Ed Wicelinski retired after 27 years and a 625-116 record. Geoff Billet, CBA '95 was named the head basketball coach on August 1, 2007. Shore Conference Championships: 1984, 1985, 1987, 1988, 1990, 1993, 1994, 1995, 1996, 2000, 2001, 2003, 2005, 2006, 2009, 2010. The first year of Varsity Fencing at CBA was the 2012-13 winter season, coached by Mary Mottola. Fencers from CBA have gone on to fence at Brandeis, Stevens, Sacred Heart and University of Pennsylvania. Coached by Karl Torchia, the track team is known for its dominance in New Jersey. The track program has more titles at the county, state, and national level than any other sports in the school combined. The Christian Brothers Academy hockey team competes in both the Gordon Conference and the Shore Conference. The Christian Brothers Academy ice hockey team is coached by Ryan Bogan. Christian Brothers Academy's home games are played at the Jersey Shore Arena in Wall Township, New Jersey. From 1994-1996, the Colts hockey team won both the Gordon Cup and the state championship in three consecutive years, a difficult feat accomplished by only a few teams. On January 31, 2014, the Christian Brothers Academy team took their talents outdoors in a Stadium Series game against Don Bosco Prep at Yankee Stadium. The two teams played to a 1-1 tie. On March 9, 2014, the Colts battled with Morristown-Beard for the Non-Public state championship. After 60 minutes of play, the game ended in a 4-4 tie and the teams were declared co-champions, as per NJSIAA rules. This is only the second time that two teams have been declared co-champions On March 9, 2015, the Colts battled back from a 3-0 deficit to Delbarton in the State Final to win the game 4-3 in overtime. Dean DiFazio scored the goal in overtime to give CBA their second straight state title. The CBA hockey program has produced four players, James van Riemsdyk, Trevor van Riemsdyk, Connor Clifton, and Joakim Ryan to go on to play in the National Hockey League. The school officially retired Trevor's number 6 following his 2015 Stanley Cup victory. The CBA Swim Team has been the Monmouth County and Shore Conference champions for 28 years in a row coached by Michael Sullivan. Notable CBA swimmers are 2000 Summer Olympics bronze medalist Tom Wilkens, and professional baseball player Vito Chiaravalloti, who is varsity swim coach as of October 2008. The 2009−10 swim team went 12−0 and captured their second ever state championship topping St. Augustine Preparatory School 86−84. The team was the fastest in CBA school history and also the first team to finish top ranked in New Jersey. In 2011 the team took their 21st Shore Conference and Monmouth County Tournament victories and also became the first team in CBA history to win back-to- back state championships, defeating St. Joseph (Metuchen) 92-78. The 2012 team won another state title. seven consecutive group titles from 2010 to 2016 is the sixth-longest streak in state history and the 10 state championships are ninth-most of any school in the state. In 2005-06, the team went 17−4 and made it to the division finals; the Colts finished ranked 15th in New Jersey and had one state placewinner. The Colts had four district champions and advanced eight to the region 6 tournament. David Santamaria (class of 1998) placed 2nd in the New Jersey high school state wrestling tournament three years in a row; Kevin Mount (class of 1999) placed 4th in the New Jersey high school state wrestling tournament his senior year. Coach Michael Baldi recently retired after years of service. Head coach is Michael Tomaino who received his first career victory as the head coach in the opening match of the 2006-07 season. The team ended with a 14-10 record with three 20-match winners and James Beshada set a school record of 41 single season victories. In the 2007−08 season, the Colt wrestlers finished second in District 22, beating state-ranked Raritan High School, and coming within one place of beating Ocean Township High School for the championship. CBA sent nine wrestlers to the Region tournament, and had 12 of 14 notch wins in districts. They finished their dual meet season with a record of 14−12, and beat traditional rival St. John Vianney High School 35−22 to send them to the Sectional Semi-finals of the Non-Public A South NJSIAA Tournament where they lost to Camden Catholic High School, 35−19. Their season was capped by a 5th in the State finish by Senior Captain Joe Favia. This is the third consecutive season the Colts placed a wrestler in the state tournament. Christian Brothers Academy offers baseball, crew, golf, lacrosse, outdoor track, rugby, sailing, tennis, and volleyball in the spring. Under the direction of Head Coach Martin Kenney, the Colts have been a dominant force in New Jersey high school baseball since 1974. In 2007, Coach Kenney earned his 600th career win with a victory over Wall High School and eclipsed 700 wins in his 40th season (2014). In 2015, CBA secured their greatest season in history, winning all five Championships that the team competed in: "A" North Division, Monmouth County, Shore Conference, NJSIAA Sectional and NJSIAA State. The 2015 Colts finished #1 in the County, Shore, State and Tri-State. They were also ranked in two National H.S. Baseball Polls, #23 in the U.S.A Today poll and #21 in the Max Preps H.S. Baseball poll. Founded in 2004, the CBA crew team is a dual-season sport. The team won its first New Jersey State Scholastic Rowing Championships in the Novice 4+ event in its inaugural year. In the 2006 season, the team gained national recognition when its newly formed Lightweight 4+ placed 2nd at the Scholastic Rowing Nationals in Saratoga, New York. The Junior 4+ won the New Jersey State Scholastic Championships in 2008. The varsity double took 2nd place at the 2008 Stotesbury Cup, the largest high school regatta in the nation. In 2009, CBA won the senior 1x event at the New Jersey Scholastic Rowing Championships. In the 2011 Spring Season, the Lightweight 4+ placed second at the Stotesbury Cup and placed first in Nationals in Camden, New Jersey. The CBA golf team won the state championship in 2005 under the direction of head coach Tim Sewing. They began a stretch of Shore Conference dominance in 2011, winning the next five of six conference tournaments including the 2016 title. Their longtime head coach is Dave Santos '85. The tennis team is one of the most accomplished sports at CBA. The Colts have won over 20 state championships, most recently in 2013. The period of success came under the direction of head coach Dan Keane, who retired after the 2016 season after serving as coach since the late 1970s. Volleyball became a varsity sport at CBA in the 2000s and began seeing success late in the decade behind head coach Monica Slattery. In 2015, Christian Brothers won the Shore Conference Championship for the first time in team history. See also: Category:Christian Brothers Academy (New Jersey) alumni. William C. Barham, former member and director of the Monmouth County, New Jersey Board of Chosen Freeholders. Derek Paul Boyle (born 1985), visual artist who shows work in New England, graduate of RISD's Digital + Media program. Brian Casey, President of DePauw University. John Crotty (born 1969), former professional basketball player who played 11 NBA seasons from 1992 to 2003. He played for the Utah Jazz, Cleveland Cavaliers, Miami Heat, Portland Trail Blazers, Seattle SuperSonics, Detroit Pistons and Denver Nuggets. Crotty is currently the color commentary radio announcer for the Heat. John P. Curley, member of the Monmouth County, New Jersey Board of Chosen Freeholders. Jeff DeGrandis (born 1957), animation director. Brian Kennedy, head coach for the NJIT Highlanders men's basketball team. Nick LaBrocca (born 1984), professional soccer player for Toronto FC of Major League Soccer. Attended and played at Rutgers University and was taken with the 35th overall pick of the 2007 MLS SuperDraft. Jack Lawless (born 1987), touring drummer for the Disney band the Jonas Brothers. Pat Light (born 1991, class of 2009), professional baseball player who played for the Boston Red Sox and Minnesota Twins. Brian Lynch (born 1978), Irish-American professional basketball player and former standout at Villanova University who currently plays for the Belgian team, Euphony Bree. Lynch is married to former World No. 1-ranked tennis star Kim Clijsters. John A. Mulheren (1947-2003) became a leading Wall Street financier in the 1980s and 1990s. Lou Taylor Pucci (born 1985), actor who appeared in HBO's Empire Falls and other independent films. Tony Reali (born 1978), current host of Around the Horn on ESPN. He is also the "stat boy" on Pardon the Interruption. Kenneth P. Ruscio (born 1954; Class of 1972), President of Washington and Lee University. Joakim Ryan (born 1993), professional hockey player in the San Jose Sharks system. Andrew Toole (born 1980; Class of 1998), men's basketball head coach at Robert Morris University. Jerry Tuite (1966-2003; Class of 1986), professional wrestler best known by his ring names, "The Wall" in World Championship Wrestling and "Malice" while performing for Total Nonstop Action Wrestling. James van Riemsdyk (born 1989), professional hockey player for the Philadelphia Flyers, who was drafted second overall in the 2007 NHL Entry Draft by the Philadelphia Flyers. Member of 2014 US Olympic Hockey Team. Dan Werner (born 1987, Class of 2006), University of Florida basketball player who won the NCAA National Championship with the Gators in 2007. Paul Wesley (born 1982), actor who has appeared in The Vampire Diaries. Tom Wilkens (born 1975), Olympic bronze medal-winning swimmer. ^ a b c 2016-17 School Profile, Christian Brothers Academy. Accessed August 17, 2017. ^ a b c d School data for Christian Brothers Academy, National Center for Education Statistics. Accessed October 20, 2017. ^ a b c Christian Brothers Academy, New Jersey State Interscholastic Athletic Association. Accessed April 9, 2017. ^ a b Member Teams, Shore Conference. Accessed April 9, 2017. ^ a b Christian Brothers Academy, Middle States Association of Colleges and Schools Commissions on Elementary and Secondary Schools. Accessed November 21, 2017. ^ Finance & Tuition, Christian Brothers Academy. Accessed January 14, 2019. "Tuition for the 2018-2019 school year is $16,300." ^ 2007 National High School (K-12) Championship, United States Chess Federation. Accessed November 10, 2007. ^ League Memberships – 2016-2017 Archived 2012-11-09 at the Wayback Machine, New Jersey State Interscholastic Athletic Association. Accessed April 9, 2017. ^ "CBA Wins Third Straight ShopRite Cup", Christian Brothers Academy Athletics. Accessed September 8, 2017. "Much like clockwork, the NJSIAA announced on Thursday evening that Christian Brothers Academy has once again won the ShopRite Cup for best non-public athletics program in the state.It is the third consecutive year that CBA has topped the standings and ninth time in the 14-year history of the award.... Christian Brothers Academy previously won the ShopRite Cup in 2004 (inaugural year), 2005, 2006, 2011, 2012, 2013, 2015 and 2016." ^ a b Row2k Results 2004. Accessed May 30, 2007. ^ a b Scholastic Rowing Association Annual Regatta (2006). Accessed May 30, 2007. ^ a b New Jersey Scholastic Rowing Championship April 25, 2009 Cooper River, New Jersey Scholastic Rowing Championships. Accessed September 19, 2015. ^ a b Scholastic Nationals 2011 Results Summary, Scholastic Rowing Association of America. Accessed September 19, 2015. ^ High School Sports Record Book - Cross Country, National Federation of State High School Associations. Accessed September 25, 2013. ^ Lambert, Jim. "Throwback Thursday: A look back at 40 years of perfection by the Christian Brothers Academy cross-country team", NJ Advance Media for NJ.com, September 11, 2014. Accessed December 15, 2018. "Oct. 20, 1973 – CBA lost to Raritan, led by current Shore Regional coach Mel Ullmeyer, 15-49. It hasn’t lost since. Sept. 19, 1974 – CBA’s streak begins with a 15-50 victory over Marist." ^ Lambert, Jim. "Christian Brothers keeps on streaking as US #1 team extends its national dual meet record streak to 323", NJ.com, September 10, 2013. Accessed September 25, 2013. "US#1 Christian Brothers Academy opened its season on Tuesday with a 15−50 victory at Manalapan to extend its remarkable national dual meet winning streak to 323..... Sept. 28, 2004 – CBA defeats Marlboro, 20-43, to tie Blackstone-Millville of Massachusetts for the national record for consecutive dual meet wins with 265. Sept. 30, 2004 – CBA scores a 15-50 win over Middletown North to break the national record with its 266th victory in a row. Blackstone-Millville set the record in 1992." ^ Lutz, Jason. "Sports program gives CBA students a full court advantage", Asbury Park Press, October 28, 2010. Accessed June 17, 2011. "Ranked sixth in the U.S., cross country is one of the most storied teams in school history. On Oct. 5, they took on Howell and beat them, attaining their 309th straight dual meet victory." ^ Denman, Elliott. "Legendary CBA cross country coach Tom Heath retires", Asbury Park Press, December 14, 2015. Accessed July 26, 2016. "In addition to the 21 Meet of Champions team titles, Heath's Colts have compiled a national-record 343-meet winning streak in dual competition -- the 1973 Raritan team was the last to hand CBA a dual-meet loss. Further, they've won 27 state group crowns, a long array of Monmouth County and Shore Conference titles, and were crowned Nike national champions in 2011." ^ Morris, Tim. "Nike Cross Nationals next stop for Christian Brothers' harriers" , The Hub, December 5, 2013. Accessed December 8, 2016. "The Colts, undefeated during another record-shattering season, defended their Nike Cross Nationals Northeast Regional championship on Nov. 30 and heads to Portland, Ore., for the Nike Cross Nationals, where their goal is to regain the national title they won in 2011." ^ Staff. "MileSplit Coaches Corner Episode 6: CBA's Sean McCafferty", Mile Split, October 23, 2018. Accessed December 15, 2018. "Coaches Corner is back and this week we bring you a long conversation we had with Christian Brothers Academy (NJ) head coach Sean McCafferty. Coach McCafferty took over one of the most successful boys programs in the country from legendary coach Tom Heath in 2016 after spending two years as an assistant. Heath coached the CBA boys from 1970-2015 and started possibly the most illustrious winning streak in the country - a dual meet winning steak that currently sits at 364." ^ Super 25 boys basketball rankings: 1999-00 Final, USA Today, accessed December 19, 2006. ^ Southeastern Conference Preview: Florida Gators, Lexington Herald-Leader, November 12, 2006. "Donovan added four promising freshmen, including New Jersey Player of the Year Dan Werner." ^ Morris, Tim. "Legendary career ends as Wicelinski steps down: Leaves CBA as one of state's most successful, popular coaches", Holmdel Independent, May 9, 2007. Accessed December 8, 2016. "With a career record of 625 wins and just 116 losses, he has a record he can match up with anyone. In his 27 years, the Colts have won nine NJSIAA South Jersey state sectional titles (including the last three consecutive) and three Parochial state championships. His teams won 14 Shore Conference Tournament titles in 20 trips to the finals in the 25 seasons the team has been in the conference. CBA won 23 A North Division titles and had an overall division record of 333-12." ^ 2012 Boys Fencing, Accessed August 31, 2012. ^ Rotolo, Chris. "CBA shares Non-Public title after battling to a tie". Asbury Park Press. Retrieved March 10, 2014. ^ Schiffer, Alex. "Middletown's Trevor van Riemsdyk shares Stanley Cup with local community", NJ.com, July 30, 2015. Accessed September 13, 2015. "The defenseman spent his day showing the Cup to the his former teammates, coaches and teachers, stopping at the Ice Palace in Brick to show it to his youth program, the Brick Stars, followed by his high school, Christian Brothers Academy in Lincroft where the school officially retired his no. 6 jersey." ^ NJSIAA High School Ice Hockey State Champions, New Jersey State Interscholastic Athletic Association. Accessed September 13, 2015. ^ Bevensee, Rich. "Non-Public A boys swimming: Christian Brothers tops St. Joseph of Metuchen", The Star-Ledger, February 26, 2011. Accessed June 17, 2011. "With 2010 All-Stater Harrison Cefalo providing his usual terrific performances and the outside lane swimmers surprising even Chiaravalloti with bursts of talent, Christian Brothers proved to be too much to handle for St. Joseph by snatching a 92-78 victory in the Non-Public A championship meet yesterday at The College of New Jersey in Ewing. This is Christian Brothers' second straight state title and its third overall." 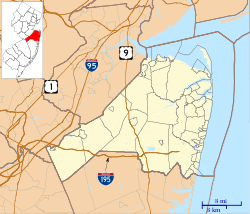 ^ History of NJSIAA Team Swing, New Jersey State Interscholastic Athletic Association. Accessed November 21, 2017. ^ a b "CBA Baseball Coaches". ^ a b Jordan, Bob. "Two enter race so far for GOP freeholder nod in Monmouth", Asbury Park Press, February 11, 2008. Accessed January 30, 2011. "Curley who graduated with Barham from Christian Brothers Academy in 1971 said he is not one of the county party's inside people." ^ Staff. "Brian Casey '81 Named President of DePauw University" Archived July 23, 2011, at the Wayback Machine, CBA Today, Spring / Summer 2008, pp. 24-25. Accessed January 31, 2011. ^ Caldwell, Dave. "At Quinnipiac, Brothers May Add an N.C.A.A. Title to Their Bond", The New York Times, March 28, 2016. Accessed November 19, 2018. "Tim and Connor Clifton were teammates at the perennially powerful Christian Brothers Academy in Lincroft, N.J., before Tim graduated and joined the Hitmen." ^ John Crotty player profile, accessed December 16, 2006. ^ Newman, Josh. "How did CBA grad wind up as NJIT's new head coach? ", Asbury Park Press, April 15, 2016. Accessed April 9, 2017. "The road to Christian Brothers Academy and Monmouth University graduate Brian Kennedy being introduced as the 11th head coach in NJIT history on Friday morning began at 12:37 p.m. April 1." ^ Nic LaBrocca player profile Archived 2007-08-08 at the Wayback Machine, Major League Soccer. Accessed August 20, 2007. ^ Bradley, Jeff. "Boston Red Sox select Monmouth's Pat Light in MLB Draft", The Star-Ledger, June 4, 2012. Accessed August 10, 2015. "Light, a 6-foot-6 righthanded pitcher out of Monmouth University and Christian Brothers Academy was taken by the Red Sox with the No. 37 overall pick." ^ Thomas Jr., Landon. "John A. Mulheren Jr., 54, a Top Trader in the 1980's Boom, Dies", The New York Times, December 17, 2003. Accessed October 20, 2012. "In 1967, he graduated from Christian Brothers Academy in Lincroft, N.J., and obtained a bachelor of arts degree in political science from Roanoke College in Salem, Va."
^ Cahillane, Kevin. "FILM; But Think of All That Orthodontia", The New York Times, October 9, 2005. Accessed August 10, 2015. "When Mr. Pucci auditioned against hundreds of others for the role, he was in his senior year at Christian Brothers Academy in Lincroft." ^ Concha, Joe. "RealHoboken Celebrity Series: An Interview with ESPN's Tony Reali", RealHoboken.com. Accessed October 23, 2007. "One of the aforementioned shows, Around the Horn is hosted by 28-year-old Tony Reali, a Marlboro, New Jersey native and graduate of Christian Brothers Academy in Lincroft." ^ Staff. "Kenneth Ruscio '72 Newly-Inaugurated President Of Washington And Lee University" CBA Today, Winter 2006-07. Accessed October 20, 2012. ^ "Saints Alum Inks NHL Deal With San Jose", United States Hockey League. Accessed September 19, 2015. "He is a product of the New Jersey Jr. Devils hockey program and also played at Christian Brothers Academy prior to his time in the USHL." ^ McKenzie, Doug. "Asbury Park home to a new hoops franchise: New Jersey Squires set to tip off on Nov. 30", Examiner, November 13, 2003. Accessed December 8, 2016. "Another player who will be featured on the Squires is Red Bank's Andrew Toole, a recent graduate of the University of Pennsylvania, and a Christian Brothers Academy alumnus (class of '98)." ^ Quasius, Melinda. "Middletown fans travel to support van Riemsdyk", Asbury Park Press, October 5, 2009. Accessed January 30, 2011. "Former Christian Brothers Academy star and 2007 National Hockey League Entry Draft second-overall pick James van Riemsdyk returned to the Prudential Center." ^ "CBA Welcomes Home Trevor van Riemsdyk '09 with Stanley Cup Celebration", Middletown Patch, August 1, 2015. Accessed November 19, 2018. "Christian Brothers Academy (CBA) welcomed home Stanley Cup Champion and 2009 graduate Trevor van Reimsdyk of Middletown with a campus celebration on July 30." ^ Justice, David. "Werner provides glimpse of future" Archived September 27, 2007, at the Wayback Machine, The News & Observer, December 29, 2005. Accessed May 30, 2007. "Werner, a 6-foot-7 Wolfpack recruit out of Christian Brothers Academy in Lincroft, N.J., scored 13 points in the first quarter and led the Colts to a 57-30 win over Phoebus of Hampton, Va."
^ Morton, Rebecca. "'Vampire Diaries' to give Marlboro native star turn", Sentinel, September 10, 2009. Accessed December 8, 2016. "Wesley attended Christian Brothers Academy in Lincroft and Marlboro High School for a period during his high school years." ^ "Wilkens Day Parade Slated For Sunday In Middletown", Atlantic Highlands Herald, October 19, 2000, backed up by the Internet Archive as of February 28, 2001. Accessed February 7, 2018. "Groups invited to participate in the parade include the bands from Middletown High Schools North and South; Middletown Swim and Tennis Club Swim Team, of which Wilkens was a member; the Red Bank YMCA, where Wilkens swam as a child; St. Mary’s elementary school, where he completed grade school; and Christian Brothers Academy, where he attended high school."